Why is it so hard to get the right diagnosis when you are coping with a uncommon or rare disease? Getting the right diagnosis is often a major hurdle to jump in order to get the correct treatment for your illness. It is especially challenging for someone with a less commonly known or rare disease. Many people are unable to get a diagnosis, are misdiagnosed, or have multiple, contradicting diagnoses from different physicians. Seeking answers for why you have been feeling sick can be a long and frustrating experience. Many people describe the experience as a roller coaster ride or "journey" because of the tumultuous nature of medical testing and having to navigate the unknown. You may see many doctors before you finally find one who knows something about your specific condition. Some diseases are so rare that only genetic testing done by a geneticist (genetics specialist) may identify a lead cause. A rare disease occurs in less than 200,000 individuals in the United States or less than 5 per 10,000 individuals in the European Union. Unless there are recorded cases of what you are experiencing, it can be very hard to compare your symptoms against all of the possible diseases out there. Some rare diseases have symptoms, such as weakness, anemia, pain, vision problems, dizziness, or coughing. Many different diseases can cause these symptoms, so they are called “nonspecific,” meaning they are not signs of a specific disease. Doctors are trained to look at more common causes of symptoms first, so they may not be thinking along the lines of a rare disease when they first examine you. There is a saying in medicine that in a field of horses you look for a horse. In that field, a rare disease is a zebra. It can often take a long time before physicians realize they are not dealing with a horse and change their mindset to look for a zebra. It seems logical that having an unusual symptom would help in pinpointing a diagnosis, but this is only true if the doctor examining you is familiar with a disease that causes the same particular symptom. If your doctor doesn’t know of any disease that causes that symptom, then you will probably be referred to a specialist who may know something about your condition. This can be exceptionally frustrating for you if you have an unusual symptom. You may feel that not only does your doctor know where to look for an explanation for your symptom, but you may feel she doesn't really believe in your symptom. Now, not only are you left coping with an unusual symptom, but you are questioning whether your doctor believes you and trusts you. This is a time when you truly need to be your own advocate in your medical care, and remember that if you doctor isn't believing you that is not your problem. You do not need to get anxious and try to "prove" you are having a symptom. If you feel backed into a corner in this way, it may be time for a second and impartial opinion. You may have a rare disease, but your symptoms may not fit the “classic” or typical picture of the disease. You may have symptoms that don’t usually go along with the disease, or you may not have all the symptoms that are expected with the disease. Doctors may hesitate to diagnose you with the rare disease because of this. Keep in mind that on a list of symptoms for a condition, most people have only a few of the symptoms. In addition, people may have several symptoms not listed. Sometimes physicians may note a finding on a test, but because of a lack of up-to-date information, dismiss the finding. This, then, can unfortunately be perpetuated, if the physician passes on her report to other physicians evaluating your symptoms. An example is people with Tarlov cysts or meningeal cysts. There is evidence that these cysts can cause excruciating pain and neurological disability which disrupts the life of those living with these cysts. If you were to explore recent studies, it's clear that these cysts cause great suffering and disability, but that newer radiological and surgical procedures can bring significant relief for the majority of people. In the literature, however, these cysts are often dismissed (still) as being incidental findings of questionable significance. In other words, even if you have a diagnosis that "fits" your symptoms, your symptoms may be dismissed, and as such, the diagnosis missed. And with a misdiagnosis, the loss of effective treatment follows. It can be difficult to get an appointment with a doctor that specializes in rare diseases, sometimes taking anywhere from three to six months or perhaps longer before you can see someone. It can be disappointing and frustrating to wait so long only to be told they’re not sure what you have or that they want you to go see another specialist. Many people who have been waiting like this may be relieved if they hear they can see someone without any wait at all. Keep in mind, though, that the reason some physicians are so difficult to get an appointment with is often because they go the extra nine yards to try and find an answer. This is certainly not always the case, but something to keep in mind. We know a mom of a child with a rare disease who has typed up four pages explaining what her daughter’s disease is, her medical and surgical history, and her current medications. She hands copies of these pages to each new doctor who examines her daughter so she won’t have to repeat everything yet again. You may feel as frustrated as she does, having to give the same information many times. It may seem as if the doctors don’t read your chart or look at your test results. A technique physicians are sometimes taught in medical school or residency is to see a patient as if that patient had no prior visits or examinations. The message of this lesson is that a correct diagnosis can often be overlooked because physicians are relying on the exam and test result of physicians who have seen the patient before. If a mistake was made early on, this mistake is sometimes perpetuated unless a physician steps back and looks at the problem as being brand new and fresh. There is the saying that "two minds are better than one," yet, when a doctor has already read of your work up thus far, her opinion is not completely of a new mind. We are all swayed and prejudiced by information we have already heard. Some physicians do not read ahead (the reason they ask you the same questions yet again) because they don't want to overlook the sometimes essential clues you may have to provide. A physician who asks you to start at the beginning and painfully go through all of your history again may just be the one to find an easy answer that was overlooked as having already been considered. Sometimes, despite seeing the best specialists, you just aren't able to get a correct diagnosis. Doctors may use words such as “of unknown etiology” or “idiopathic” (meaning, “we don’t know what causes it” or, as medical students say, "we don't have a clue") or “atypical” (meaning “unusual”). You may be given a diagnosis that best fits your symptoms, or given two or more diagnoses together. Recognizing that people with rare diseases may have difficulty getting a diagnosis, the U.S. National Institutes of Health (NIH) started the Undiagnosed Diseases Program in September 2008. The NIH research program evaluates about 50 to 100 cases of undiagnosed diseases to try to provide answers to people with mysterious conditions and to advance medical knowledge about the diseases. If you have a medical condition but no diagnosis, talk with your doctor about participating in this program. It is important to keep seeing your doctor for regular follow-up visits even if you do not have a diagnosis for your condition at the moment. 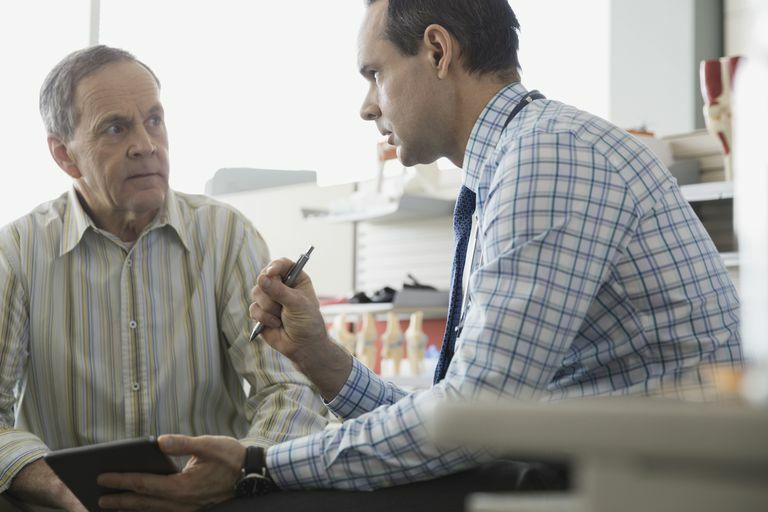 Your doctor can keep track of any health changes, come across new information as time goes by and collect clues that might lead to an eventual diagnosis. If you have not had an opportunity for a physician to evaluate your symptoms fresh and unbiased, however, this is an important next step. One of the difficult problems in coping with a rare disease is that there aren't support networks as there are for, say, breast cancer. Thankfully, many people with rare diseases are now finding support through rare disease support groups and rare disease social network communities in which people have many different type of rare diseases, but understand the unique frustrations and challenges faced by those with difficult to diagnose or undiagnosed conditions. If you are still waiting for a diagnosis, check out these thoughts on the emotions of waiting for a rare diagnosis. Klekamp, J. A New Classification for Pathologies of Spinal Meninges, Part 1: Dural Cysts, Dissections, and Ectasias. Neurosurgery. 2017 Mar 17. (Epub ahead of print). Murphy, K., Oaklander, A., Elias, G., Kathuria, S., and D. Long. Treatment of 213 Patients with Symptomatic Tarlov Cysts by CT-Guided Percutaneous Injection of Fibrin Sealant. AJNR American Journal of Neuroradiology. 2016. 37(2):373-9. Weigel, R., Polemikos, M., Uksul, N., and J. Krauss. Tarlov Cysts: Long-Term Follow-Up After Microsurgical Inverted Plication and Sacroplasty. European Spine Journal. 2016. 25(11):3403-3410.